Armchair Book Expo Headquarters: CALLING ALL SPONSORS: 2017 Sponsorships Now Open! 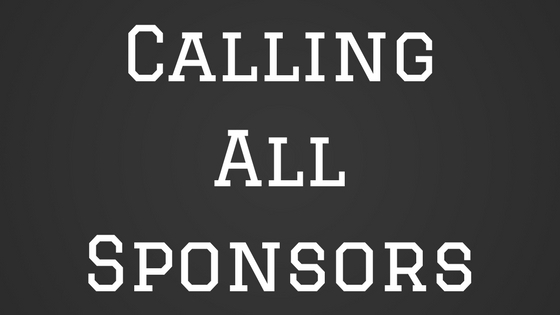 CALLING ALL SPONSORS: 2017 Sponsorships Now Open! Part of the excitement of attending Book Expo is meeting so many wonderful authors and publishers, as well as all the amazing books you come in contact with and get to bring home. Armchair Book Expo strives to bring as many of the aspects of Book Expo as possible into the homes of our fellow book bloggers in every way possible, including through our sponsors. Each year we've had outstanding support from Sponsors, from authors to publicists and many of the publishing houses attending the event in New York. (View the full list of all past sponsors here.) This year we'd love to continue that tradition and this is where our Sponsors come in! (1) **Sponsorship** hosted right here on the Armchair Book Expo site. Keep reading for more information. You may be asking...who qualifies to be an Armchair Book Expo Sponsor? 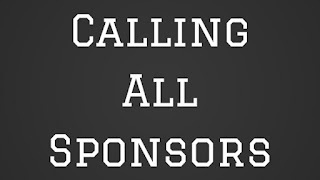 ~ Please Note: Due to the high number of Sponsors over the last few years, we are asking that book bloggers wishing to sponsor Armchair Book Expo be those that are unable to participate in the "Giveaway Day" during the event week. If you know that you will not be able to participate in the event (for whatever reason) then please feel free to fill out the form below to sign up to be a Sponsor! What does being a Sponsor for Armchair Book Expo provide you with? ~ Listing on the Armchair Book Expo Giveaways Page as a Sponsor, including links back to your website or other specified page. We believe that our Sponsors truly make Armchair Book Expo one of the best ways to participate in BEA from the comfort of their very own homes and appreciate each tremendously! If you wish to be a Sponsor for Armchair Book Expo 2017, please take a few moments to fill out the form below. PLEASE NOTE: If you wish to have your item(s) hosted here, credit and link love will be given to you and we will handle the contest itself; however, you will still be responsible for shipping your item(s) to the winner(s). Shipping information will be provided to you by one of the members of the Armchair Book Expo Sponsorship Team once they have been selected. Sponsorship offers will be accepted until Sunday May 22, 2017 to allow for time to prep proper publicity for each. Thank you! Sponsors, if you still have questions feel free to contact Stephanie or Tif at armchairbea (at) gmail (dot) com. If you are unable to view the form below, you can also access it here.